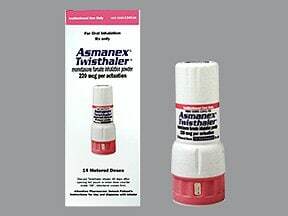 What conditions does Asmanex Twisthaler 220 Mcg (120 Doses) Breath Activated treat? Tell your doctor right away if any of these unlikely but serious side effects occur: white patches on tongue/in mouth, signs of infection (such as fever, persistent sore throat), mental/mood changes (such as depression, trouble sleeping), vision problems (such as blurred vision), increased thirst/urination. 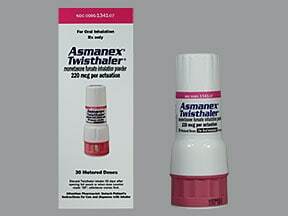 List Asmanex Twisthaler 220 Mcg (120 Doses) Breath Activated side effects by likelihood and severity. Before using this medication, tell your doctor or pharmacist your medical history, especially of: current/past infections (such as tuberculosis, herpes), bone loss (osteoporosis), eye problems (such as cataracts, glaucoma), diabetes, decreased adrenal gland function. What should I know regarding pregnancy, nursing and administering Asmanex Twisthaler 220 Mcg (120 Doses) Breath Activated to children or the elderly? 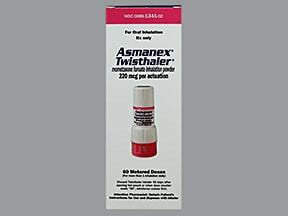 Does Asmanex Twisthaler 220 Mcg (120 Doses) Breath Activated interact with other medications? 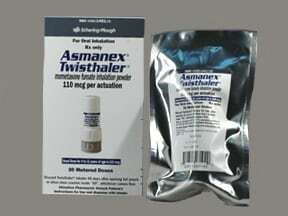 Are you taking Asmanex Twisthaler 220 Mcg (120 Doses) Breath Activated? 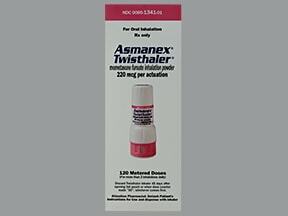 Are you considering switching to Asmanex Twisthaler 220 Mcg (120 Doses) Breath Activated? How long have you been taking Asmanex Twisthaler 220 Mcg (120 Doses) Breath Activated?